Florence-born Fawaz Gruosi spent years working with diamond expert Harry Winston in Saudi Arabia, learning the intricacies of the industry from within. In 1993 he launched his own brand, de Grisogono in fine jewellery’s capital, Geneva. Despite his lack of formal training, Gruosi is now widely considered one of the most creatively daring, sales savvy and charming jewellery designers on the modern market. He speaks to LUX about black diamonds, celebrity endorsements and the need for experimentation. LUX: What do you think makes de Grisogono so successful? Fawaz Gruosi: De Grisogono is characterised by unique and playful design codes. I like people to feel glamorous in my creations and while I have the greatest respect for them, I am not bound by the conventions of traditional jewellery design; at de Grisogono we like to take risks. When you wear de Grisogono you are making a statement, I think this is what makes us stand out. LUX: Which markets are most interesting in the luxury world at the moment? FG: We are currently expanding our offering in the Middle East and we are also looking into Asia. In Europe, London remains an important market; our Flagship opened in February 2016 and deeply reflects our brand aesthetics and my personal roots. The plan of the store references the typical Florentine villa – where I grew up – with three distinctive rooms: the Corte, the Grande Sala and the Stanza Del Tempo. The space uses chiaroscuro – playing with light and dark, texture and colour – to add interest to the room and create playful backdrop to the jewellery and watches. LUX: How do you compete against historic jewellery brands? FG: We do not compete against historic jewellery brands, what we offer is completely different. We are often described as ‘daring’ and ‘trailblazing’ thanks to the fact that my approach does not conform to the rigours of traditional jewellery design. Our clients come to us because they know they will find something different. I made my name by experimenting at a time when the market was tired of traditional pieces that looked more or less the same. My designs are bold and colourful, we mix semi-precious with precious stones to create unexpected, unusual and beautiful pieces. LUX: How has the fine jewellery world changed since you first entered it? FG: At the beginning, many people were wary of my approach to high jewellery but now people are actively seeking more daring and challenging designs. Conventional design has given way to greater creative freedom. LUX: You’re famous for pioneering the use of the “black diamond”, what inspired that innovation? FG: I was entranced by the story of the historic Black Orlov, a monumental black diamond. I began to research black diamonds which had been rejected by the industry, largely because they are extremely challenging to cut. I found them intriguing, captivating, and any other gemstone is immediately enhanced by the dark sparkle of black diamonds, creating one of the most striking chiaroscuro effect. In 1996, de Grisogono launched a collection devoted to the black diamond. It was perfectly pitched at a moment when monochrome minimalism was very fashionable, sparking a massive global jewellery style-trend for black diamonds which continues unabated today. LUX: What are the biggest challenges you’ve faced as the founder and creative director of a luxury brand? Fawaz Gruosi: The marriage between business and creative approach – thankfully we seem to have struck the right balance. LUX: How important are celebrity endorsements for de Grisogono? FG: The glamour of celebrity has greatly helped to shape our identity. The tone was set when the first de Grisogono boutique was opened in Geneva in 1993 at a party attended by Sophia Loren. Since then, we have been lucky to play host to many of the world’s most beautiful and famous women who have attended our parties and worn our jewels – Kate Moss, Naomi Campbell, Sharon Stone to name a few. Throughout the years, we have built lasting friendships with celebrities. By personally choosing de Grisogono for their red carpet moment, they express their love and passion for exclusive, distinctive, dazzling jewellery. This year during Cannes, we were delighted to see Bella Hadid and Kim Kardashian wearing our jewellery, as well as Jourdan Dunn, Milla Jovovich, Toni Garn and Natasha Poly. LUX: When you look back on your career, what are you most proud of? FG: I am most proud of the de Grisogono family. My closest team members are at my side for 10, 20 years now. We are just like a family and know exactly how each other works and I am proud of each and every one of them. 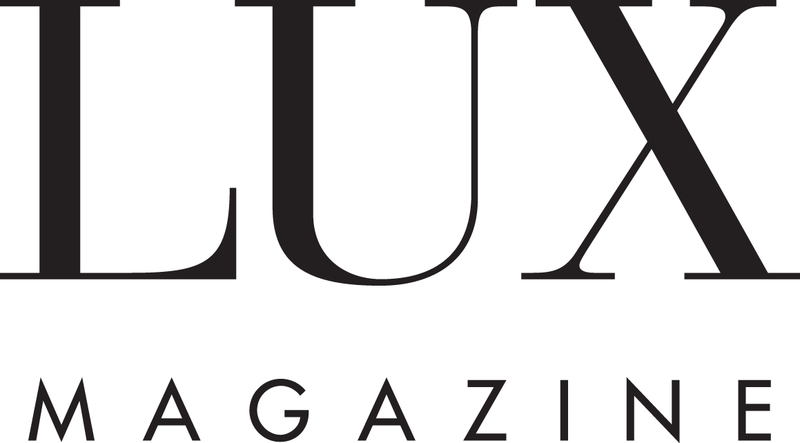 LUX: What lies ahead for the brand? FG: We continue to expand into new territories and next year will be exciting in terms of some of the high jewellery creations we plan to unveil. FG: I have been so busy in the recent years that relaxing is a true luxury! But a perfect way to relax would be spending time with my family, in Porto Cervo or St. Moritz/Gstaad during winter, listening to music or cooking pasta for big groups of friends at home!